Ah, the 1960s. An era of turmoil, sexual revolution, and bell-bottomed trousers… and watches. To wit, we present the KLOK-08, a 60s-inspired timepiece designed for hip cats and kittens who find things to be out of sight and/or psychedelic. Kloker has been around for a few years and this is their latest model, a streamlined version of their original piece with a few twists. These unique pieces features a single hour ring around the edge and a smaller seconds ring at the center. You read the time by assessing the position of the hour ring as it turns past an indicator at 12 o’clock. Interestingly it also has a quick release system that connects to a strap or a desk clock holder. 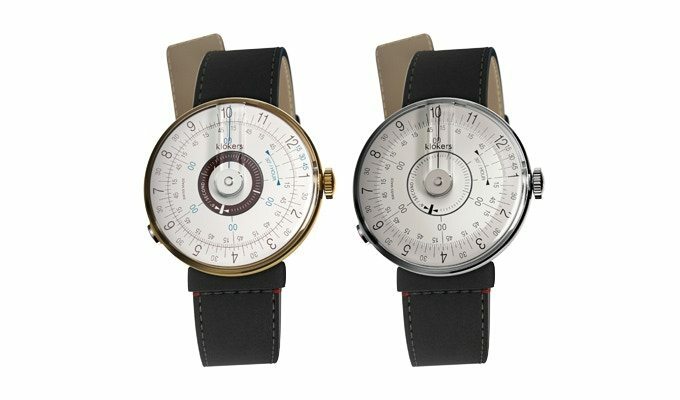 “klokers celebrates that Sixties spirit of freedom by offering freedom of choice, freedom of style, freedom of color, and even freedom of watch. The secret to klokers’ system is a watch-head that securely clips on and off on straps and accessories through a patented click-in, click-out system we call the klokers’ key,” write the creators. Early birds will pay $329 for this quartz beauty and they are shipping in September 2018. They’ve already raised $437,887 so we’re pretty sure they’ll actually deliver.